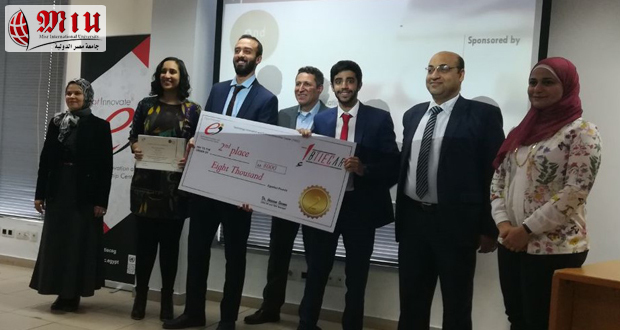 The Faculty of Computer Science, MIU, is proud to announce that the graduation project 2017 (Brainyology) won the second-place award in ibTIECar2017 – TIEC Graduation Projects Competition with a prize of 8,000 EGP. The project ranked second in the field of machine learning. 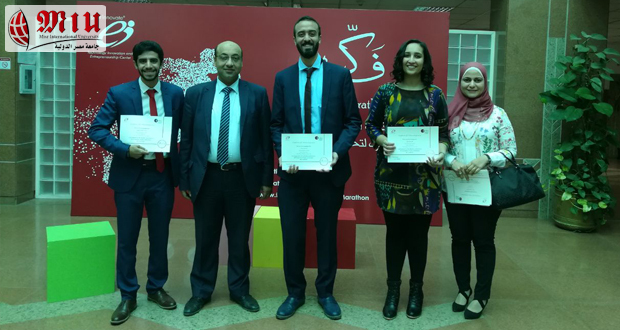 The group members were Sherouk Amr, Omar Khaled, and Ahmed Abd El-Salam and was supervised by Dr. Ashraf AbdelRaouf and Eng. Taraggy Mohiy. The project proposes an interactive solution for detecting and calculating the volume of the brain tumor automatically. Using a 3D model for the brain and the tumor, the doctor will interact with the 3D model using a controller device for intuitive fast mapping of a real brain model which will be useful for creating teaching materials for the medical science or even surgical studies in metal implants.